I’m the first to admit that the schedule in the Smith household is a little “nontraditional.” With John working second shift (and lots of overtime lately) and me working from home and able to match my schedule to his, we often don’t find ourselves going to bed until 3 or 4 a.m. and getting up mid-morning. With us both working long hours, add to it the slightly oddness of those hours, and it can be easy to get worn down. I’ve learned to take better care of myself and try to take a break before I get too overworked. 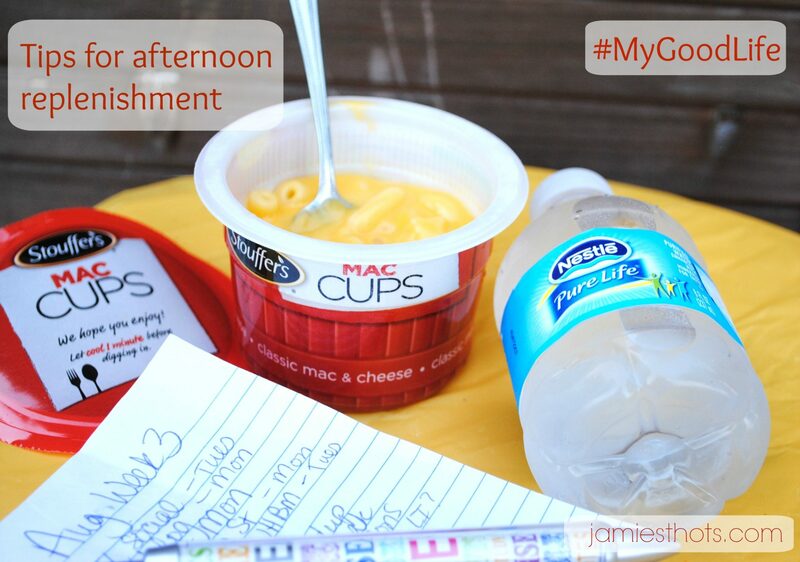 I recently got the opportunity through #CollectiveBias and #Walmart to talk about ways that I replenish in the afternoons and keep up #MyGoodLife in part using Nestle Pure Life water and Stouffer’s new Mac Cups. 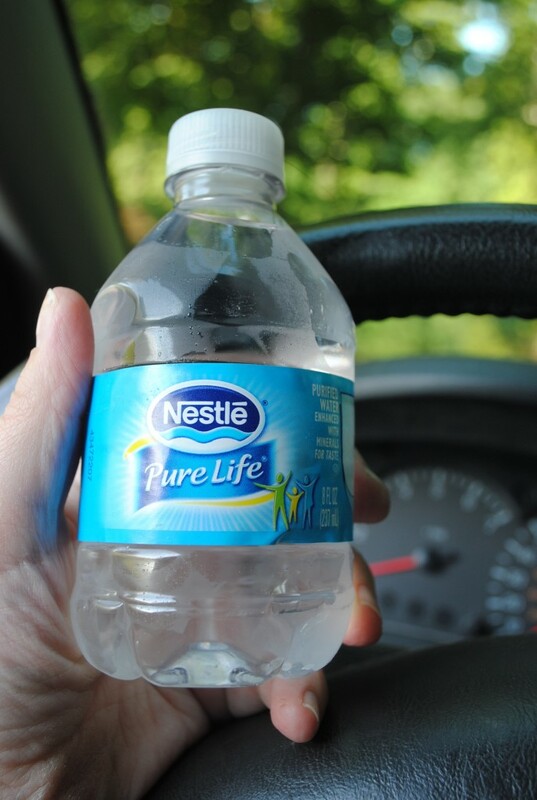 The smaller size of the Junior Nestle Pure Life bottles make them easier to carry in the car than traditional size water bottles because they don’t tip over in the car cup holder. They are also convenient to keep at my side wherever I’m at whether it’s home, outside or on the go. This is the number one thing to me. It is so easy to either not drink enough or drink too many caffeinated drinks. I keep a bottle of water next to my computer at all times and love the Nestle Pure Life water. It’s just that, pure. It doesn’t have sodium or flavoring or anything in it that takes away from the hydration. Guess what? Nestle recently came out with “junior” Pure Life that comes in 8 ounce bottles. These are perfect for taking in the car, stashing in my backpack, and having a small drink next to my computer to stay hydrated throughout the day. At $1.88 per pack of 12 bottles, they are startlingly affordable. Just don’t forget to recycle the plastic bottles! I do every time. 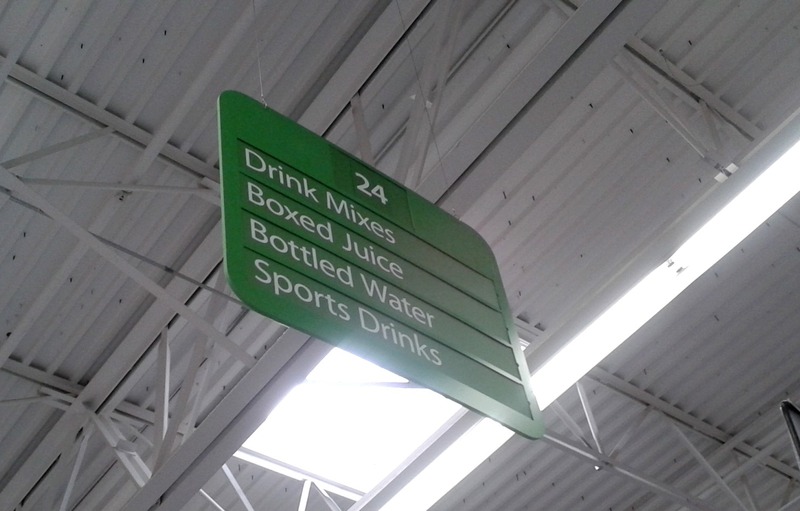 The junior size bottles are in the bottled water section at #Walmart. At my store, they were on the top shelf. 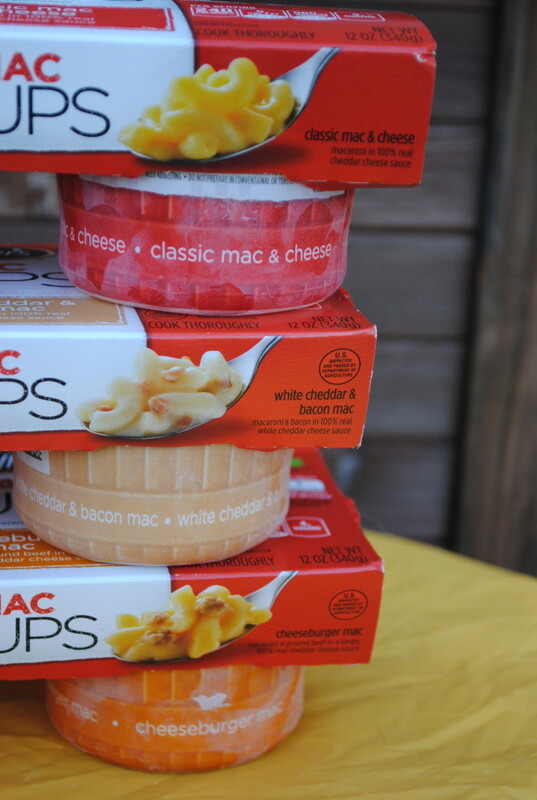 The new Stouffer’s Mac Cups come in three varieties: Classic, White Cheddar & Bacon, and Cheeseburger. There’s also a little room in the container so that A) you don’t burn yourself when you take it out of the microwave, and B) so you can easily add items like veggies or more meat to supplement your meal. Notice the ice crystals? These new Mac Cups don’t have preservatives so they need to stay frozen until you cook them. With so many convenience foods having lots of preservatives, that makes them easy to eat in the middle of a busy day, but not as healthy. The new Stouffer’s Mac Cups have no preservatives and have 10 grams of protein from the real cheese sauce in each cup. I personally believe that eating several small meals throughout the day instead of three big ones is important for maintaining energy and metabolism. This is especially important for someone like me who needs to eat every few hours otherwise I have problems with my blood sugar. These Mac Cups are a healthier way to get a small meal in during the afternoon and with their three flavor varieties we busy grownups can have delicious mid-afternoon refueling. I at first had a hard time finding the Stouffer’s Mac Cups because I went to where their competitor’s similar products would be…in the pasta aisle. Nope! These Mac Cups are frozen because they don’t have preservatives. Look for them in the freezer section at your local Walmart. At $2.75 for a pack of 2, it’s slightly more than other microwave cups but considering it’s healthier, I am completely willing to pay that extra 75 cents. Time is money and if it makes me feel better, then it’s well worth it. Ever hear the phrase that sometimes you have to spend money to make money? The same is true for my day. Sometimes I have to stop working to be able to work longer and better. I need the mental and physical break so I’m learning it’s OK to take that break. If I’m not feeling great or didn’t sleep well the night before, I fully admit that I take a nap. I used to feel lame or guilty for that, but why? An hour of snoozing rejuvenates me. I also often take time to play with my pets, especially the dogs. This helps me and helps them because when they are well exercised, they tend to leave me alone when I am trying to work. I promise that K-9 cannon is not pointed at Jazzy’s head! 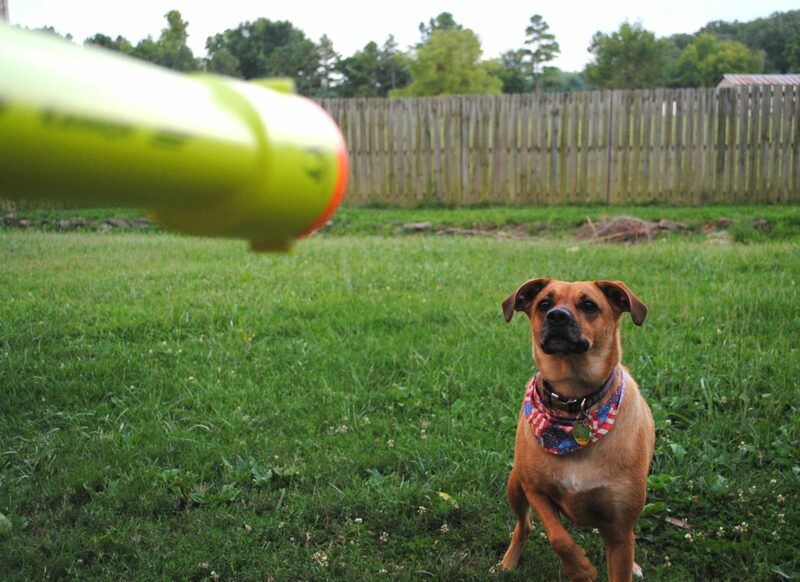 That dog loves to play fetch and I try to get some break time to spend with her doing just that. Flower isn’t a fetcher type dog but she loves having us out in the backyard to play around with, too. I often take walks with them (yes, in the wheelchair…not sure why I get asked that). That gives us both some exercise! Sometimes refocusing doesn’t mean stopping work entirely. I feel more focused and rejuvenated when I take a bit of time out each day to gauge where I’m at with daily and weekly goals. I enjoy going outside or going to another part of my house (I work from home) to take notes and take that mental break. 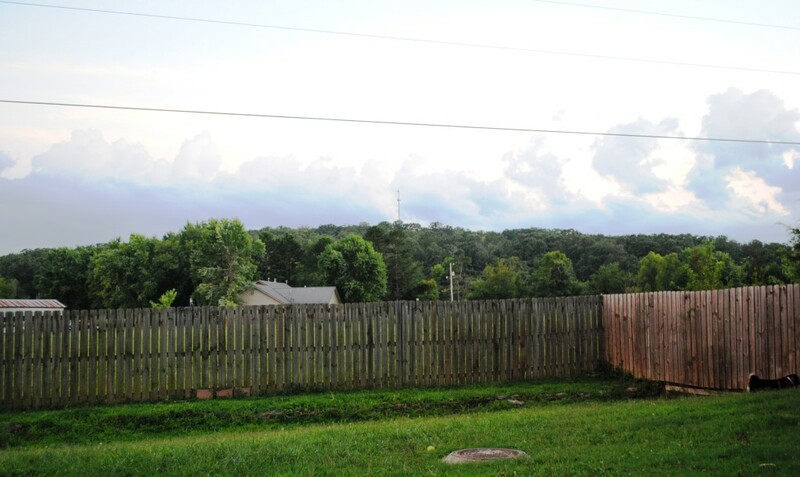 Our backyard has a great view and time in nature gives me the opportunity to refocus my brain and feel renewed. What do you do to refresh and refuel in the afternoons (or whenever the middle of your day is)? Share in the comments! Have you tried these new products? Let me know what you think! I need two things…to refocus and that perfect sized water bottle! Audra-Isn’t the water bottle cute? I think I will use it most in my backpack and in my car. It drives me insane when my larger water bottles tip over when I’m driving. Thanks for the reminder to drink plenty of water and take breaks. Those are two things that easily go by the wayside when I’m trying to get everything done! Jennifer-yes it’s easy to get so busy that we forget but I find that I am SO much more productive when I take the breaks! I refuel by reading some of my favorite blogs, grabbing a snack (I’ve never seen those Mac Cups before) and doing some exercises at my desk! Shannon, great methods too! The Mac Cups are new and are in the freezer section under “meals for you” or something like that. What kind of desk exercises do you do? I know my shoulders and back really ache at the end of the day if I don’t take a break. Maybe exercises would help. Great advice – that I need to do more of. I’m terrible at drinking enough water and taking breaks throughout the day. (I call it going into my “writing coma” and then realizing I haven’t moved anything but my eyes and hands for several hours. Yikes!) My dog would definitely appreciate me stopping more every little while! Deborah-Yes, taking care of ourselves is good for the whole family! I’d have to say refocusing helps me the most. I like to take a break from all technology, sit outside or walk outside if I can. Getting outside especially clears my head! Those mac cups look pretty good I need to try them. Drinking a lot of water keeps me feeling good, I can always tell when I’m starting to get a little dehydrated. Renee, they are new and in the freezer section. Yes, I can really tell when I get dehydrated. Had a kind of scary episode with it over the weekend! All great tips! I need to focus more on staying hydrated and eating regularly. It is so easy for me to skimp on both of those and I often finding myself paying the price after a few days. Tiffany, Yes I can be the same way. Or, I nibble on junk and get lethargic. The Mac Cups do have carbs but for a small convenience meal I was pleasantly surprised at the protein content. I must learn to drink WATER not pop! I’ve been trying to drink lots more water. I think I’m dehydrated! Talya-it’s definitely important to stay hydrated! It helps both your body and mind. Water is essential for me all day long. When I feel a little run down I, too, find that drinking more water helps. And, of course, I agree with you that we need a break in our day to rest and refocus. Making sure to eat throughout the day is a good point. Sometimes I get so busy I forget to eat and just keep going. That’s not good for energy or metabolism. Great plan and great post! Lisa-thank you! I’m getting better about self-care too.